SOUTH BEND, Ind. (AP) — Notre Dame linebacker Manti Te'o will be interviewed by Katie Couric, the first on-camera interview given by the All-American since news broke about the dead girlfriend hoax. Te'o and his parents will appear on Couric's syndicated daytime talk show Thursday. ABC News announced the interview Sunday, but gave no details as to when it will take place and where. Couric, now a special correspondent for ABC News, formerly worked as the anchor for the CBS Evening News and was a co-host of NBC's Today Show. 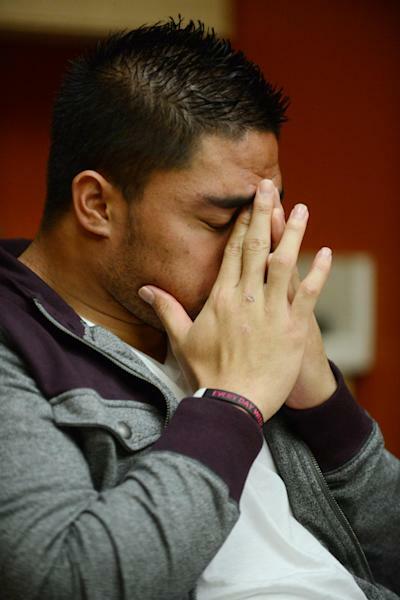 The man he said apologized to him for pulling the scam, 22-year-old Ronaiah Tuiasosopo, has not spoken publicly. He and his family have decline the AP's numerous requests for interviews. Notre Dame athletic director Jack Swarbrick said Te'o reached out to his coaches and university officials on Dec. 26, and the school commissioned an investigation that he said confirmed Te'o was not involved in the hoax. The school received the findings of the investigation on Jan. 4, three days before Notre Dame played Alabama in the BCS title game. A Notre Dame spokesman said some school administrators thought they should release what they knew about what the hoax as soon as they became aware of it, but the university ultimately decided to let Te'o and his family be first to go public with the story. Notre Dame spokesman Dennis Brown told the South Bend (Ind.) Tribune in a story published Sunday that university officials decided disclosing the information about the hoax before the BCS championship in Miami would not be in the best interest of the teams or the individuals involved. The hoax about Te'os dead girlfriend became public Wednesday when it was reported by Deadspin.com. Swarbrick held a news conference later that day to discuss what Notre Dame knew, and gave full support to Te'o. Later, Swarbrick said the family had intended to speak publicly about the hoax Jan. 21. Brown said the university was "utterly stunned" when Te'o informed them about details of the hoax on Dec. 26 and had a "difficult time getting our arms around it." Te'o met with Swarbrick for nearly two hours on Dec. 27 after returning to campus to give a full account of his relationship with the online woman he knew as Lennay Kekua, and then again the next day, Brown said. How the university should proceed was the topic of discussions between top administrators for a week, Brown said. The university hired outside investigators on Dec. 29. "We asked them to focus on any threats to the university or its reputation, by providing more information about the so-called Kekua family that might help us understand motives, or whether they might have had any contact with others at Notre Dame," said Brown, who declined to name the firm. The investigators were in touch the next day, telling the university they could find no evidence of a Lennay Kekua or any of the relatives she had told Te'o about in several "sophisticated databases" the firm used. Brown said the investigators concluded "the entire family was fictitious, because of their inability to find them, and that the investigation should turn to trying to identify the woman who had been talking to Manti." Investigators determined the address the woman had given Te'o was real, with a house there that belonged to members of a family named Tuiasosopo, including Ronaiah Tuiasosopo. Brown said the investigators hired by Notre Dame didn't try to reach Tuiasosopo or his relatives. 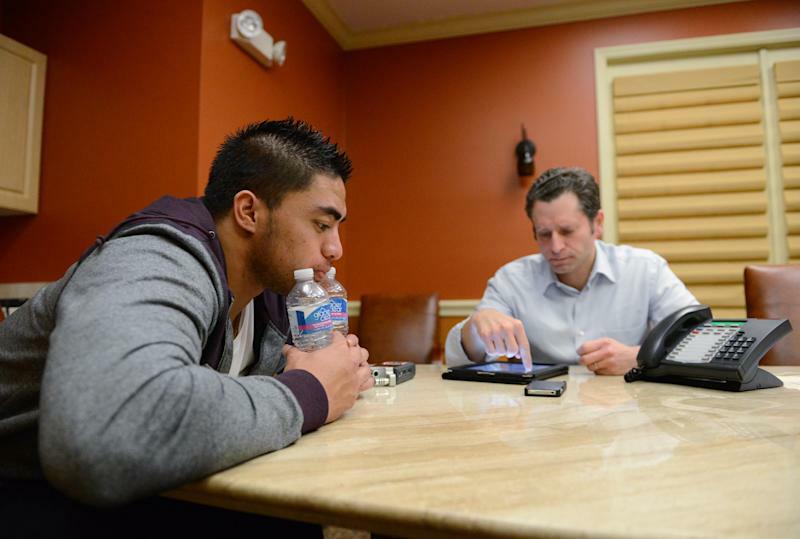 The university officials told the newspaper the investigators did not examine cellphone records, emails or other electronic communication to determine the length or extent of Te'o's communication over the past few years with the person claiming to be Kekua, nor did the university ask Te'o to take a lie detector test. The school informed Teo's parents, Brian and Ottilia, about the investigation results on Jan. 5.